Bitter~Sweet ™: Mission Accomplished . . . . I was in the beverage isle of the grocery store last week looking to replenish my supply of Mott’s for Tots Juice Boxes. Because if you have to be low, it helps to have some smiley cute fruit friends to get you through. Anyway, as I scanned the shelves for my Strawberry-Banana buddies I overheard a girl nearby utter a magical (also made-up) word to her Mom . . . I marched over, butted in (I’m so rude) and exclaimed “Did you say Trop-A-Rocka? I’ve been looking for that forever! !” They politely pointed it out on the shelf and promptly ran away from the Crazy Tea Lady. I was a bit disappointed to see it was only being sold in six-packs. I was hoping I could buy just one bottle and sample it - because frankly, the combo of flavors sounded kind of weird and I wasn’t sure I’d like it. Green and black tea, mango, pear, peach, vanilla, cinnamon - I think those are the flavors in it and I thought it sounded like an odd mixture. But a six-pack was my only choice and I went for it. You know what? I like it. No, wait, I might even say I love it!! Picky, fussy me. The girl who doesn’t like mangos and isn’t all the crazy about peaches. I was shocked, but something about this odd mix of flavors really worked for me. And if it tastes good now, jut think how refreshing it will be on a hot summer day? At long last, my mission to sample Trop-A-Rocka has been accomplished. Hey Snapple, just promise me you’ll keep making it, okay?? I have been able to find 6-packs in my neighborhood Target (on occasion), but since I was able to try it, I also knew I liked it. Finding places that sell individual bottles seems to be less common based on my non-scientific experience. I've been looking for it for a while, too, and haven't ben able to find it any sampling size around here. But I tried for first time near Thanksgiving when my mom brought some down, and LOVED IT. I've been meaning to do a post about that for awhile, but have failed miserably. Oh, and Bret Michaels doesn't return my calls. I'll blame the heart surgery. Anyhow, great one Karen! Cool that you were able to find it - I cannot find it in the Philly area! Glad it was good too! My husband and I fought over who would get our last Trop-a-Rocka from our six pack. Yum! 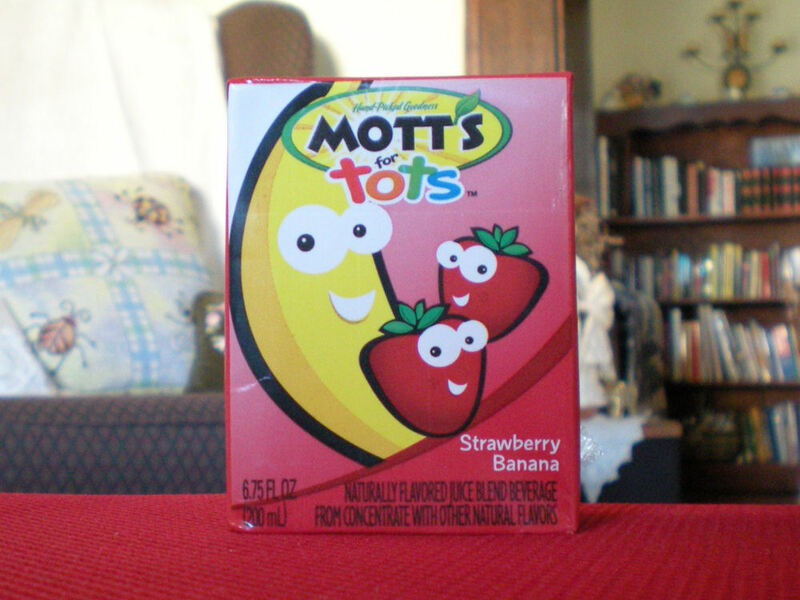 And can I say that Motts for Tots juice boxes are my favorite go-to low treater? Much better than glucose tabs. Glad you finally found it! I like it too! I have not seen this one yet, but now I am on the look out! I usually have juice boxes around, but I prefer jelly beans right now to treat lows! For some reason even just a few sips of juice send me too high after a low! oh oh I have to tell my brother in law about it. HAPPY HAPPY DANCE FOR YOU!